If you’re a pet owner like me, you probably find yourself vacuuming up pet hair all the time! Although we love our pets unconditionally, it sure does get tedious having to clean up loose hairs from the sofa and carpets every few days. If you want to make sure that you get the best vacuum to do this task for you, there are a few questions that you should ask yourself before you buy. 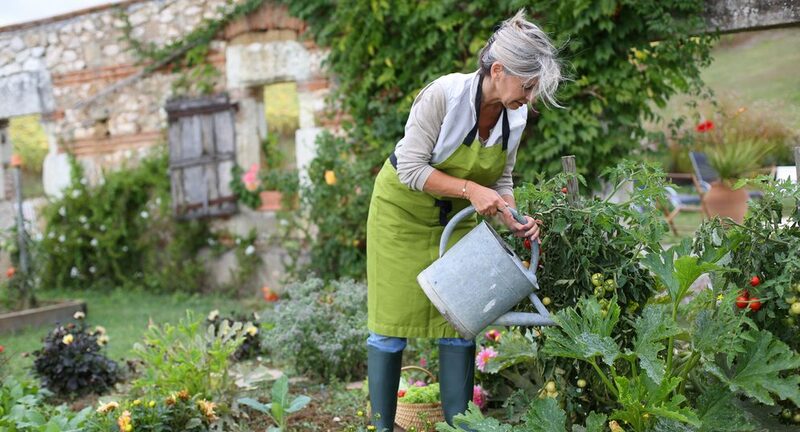 You don’t want to get something that is out of your budget but you also don’t want to get something that isn’t going to work efficiently to get the job done right. The following is a complete guide that will help you find out what you need from your product, along with a few reviews of our favorite vacuums for pet hair. First, let’s ask a few questions. 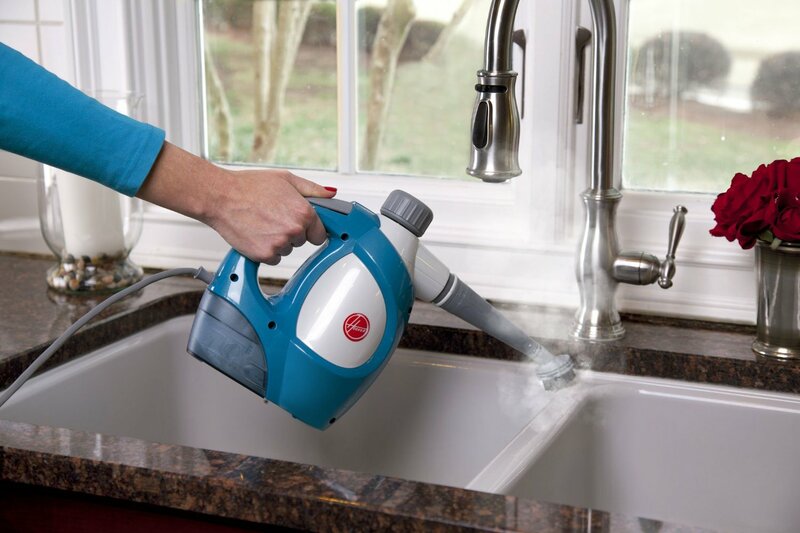 Fast and easy cleaning in a lightweight vacuum with powerful suction and innovative brush design that cleans more . Tangle-Free Brush Roll. Goodbye hair-wrap. Patented Cyclonic Pet Hair Spooling System for a Hands-Free Empty. Specialized Pet Tools with Quick Release Wand to capture pet hair anywhere. How Often Do You Vacuum to Clean Up Pet Hair? This is something that you should really think about. If you have to do the chore every other day, it might be better off getting a smaller vacuum as you will find yourself lifting it out of the closet a lot. However, if you prefer to vacuum less frequently you might want to get a larger product that will be much more efficient. 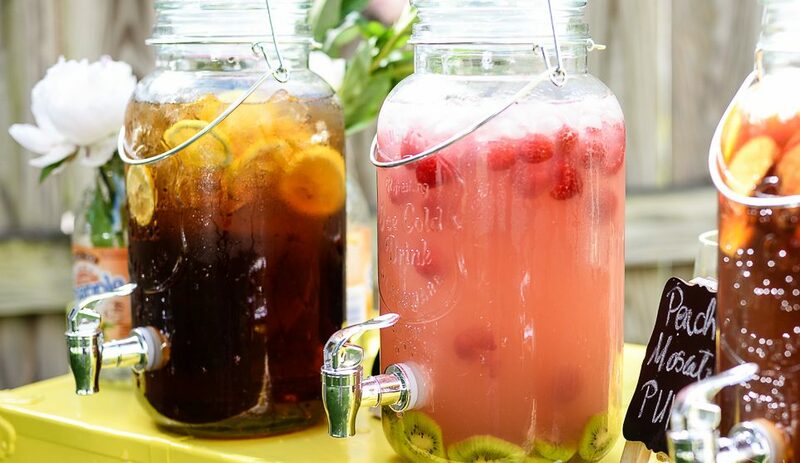 We prefer a larger product. The choice is yours. If a member of your family has allergies then you know how important it is to choose the right products for your home. Dust is a huge culprit of setting off allergies and asthma, but did you know that you can actually reduce the amount of dust in the air with a HEPA standard vacuum filter? HEPA (short for High-efficiency particulate air) filters have to pass certain criteria set by the United States Department of Energy, part of which includes being able to remove 99.97% of particles that are 0.3 micrometers or larger. They are critical in preventing the spread of airborne viruses and bacteria and are often used in medical facilities. 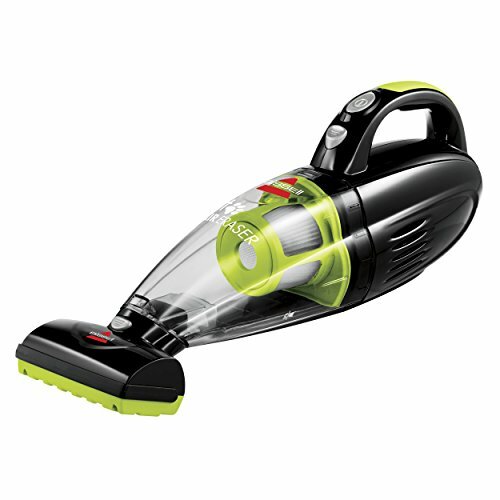 However, when they are used in vacuum cleaners they will help to trap fine particles like dust mite feces and pollen which could have caused asthma and allergy symptoms to start. We’ll be explaining more about the different filters that your vacuum can come equipped with further down in our guide. Pet Hair Features – Only the select models listed above have this feature, but it can be a life saver when you want to reduce the time it takes you to clean the carpets and seating in your house. The product may feature a rotating or electrostatic (which uses electricity) brush that fits the hose of the vacuum to pick up pet hairs more quickly. Bag-free Cleaning – There are some advantages and some disadvantages to bag-free vacuum cleaners. One good point is that not only will you not have to empty a bag full of pet hair from the vacuum, but you will also cut out the expense of buying bags. However, it is important to note that if you are asthmatic, there is a slight chance that dust particles may escape from the vacuum canister causing you to get a lungful of dust as you empty out a bag-less cleaner. If you don’t mind the slight chance that dust may spill every so often then this is a very good feature to have. High-Level Filters – These are great for retaining microscopic dust particles, such as pollen and fleas, that will aggravate any allergies that a family member may have. We got a chance to test out around 20 of the best vacuums cleaners on the market and we found these five to be the best. You can click each column header to view by that category. Don’t forget to check out the deals on Amazon.com, as I’ve found some amazing savings there in the past. There are two types of filters that most vacuums can have. The first is a true HEPA filter and the second is a HEPA type filter. The true HEPA filter is the most efficient filter. HEPA stands for High-efficiency Particulate Air and filters meeting this standard have been used in everything from aircraft to medical facilities. To achieve the HEPA standard the filter must pass a list of requirements as set by the United States Department of Energy, one being that it must remove 99.97% of particles that are 0.3 micrometers or larger. As you can probably gather, they make for a really efficient addition to your vacuum cleaner. The regular HEPA type filter is a less efficient filter, but generally more affordable for vacuum users. They don’t have to meet the requirements set to achieve the true HEPA standard, and generally only capture 85 – 90% of particles. The main reason that we suggest buying a vacuum with the true HEPA standard is that if you suffer from any allergies it could cause you some health problems. If a true HEPA filter isn’t necessary for your family, then, by all means, this is a way that you can save on the price of your vacuum by getting one equipped with a HEPA type filter. Click here to go straight to our customizable in-depth chart detailing the best vacuum for pet hair, along with up to date discounts and savings. “They don’t make ‘em like they used to” is a saying that I cringe at sometimes. The truth is that they DO make ‘em like they used to, people are simply not choosing the right model. That’s part of the reason that we created this guide, to give people the correct information that will ensure they get a good quality vacuum for a very affordable price. Now in order to get a decent vacuum cleaner, it will cost you more than $100. What would you rather do, buy a cheap product and have to buy another in 2 years, or buy a good durable product that will last you 10 – 15+ years? To get the best idea of how long a vacuum should last take a look at the manufacturer’s warranty. If they truly believe in their product they will give a 3 – 5-year warranty. The capacity of a vacuum is also a good point to consider. It all comes down to how big your home is. You don’t want to have to empty your vacuum twice or even three times every time you use it. 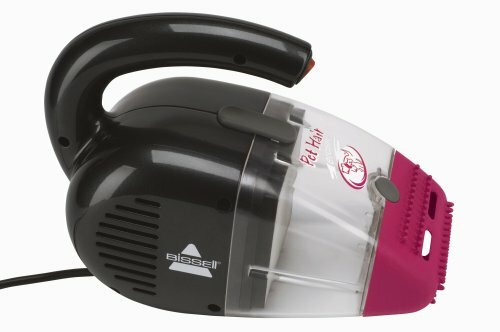 For the average household, you can get away with having a regular pet-sized vacuum (like the ones listed above), but if you have a very big house you will want to get something with a bit more capacity such as the Hoover WindTunnel T-Series Pet Rewind Plus Upright Vacuum, Bagless, UH70210. Don’t forget that although it’s an advantage to have a vacuum that will store a lot of pet hair, you also want to think about storing the vacuum itself. If I were to pick for you, I would go with an averagely sized pet hair vacuum as you will easily be able to store it in a closet. Will The Noise Level of the Vacuum Be A Problem for Your Pet? Most pets can be trained so that they don’t react to the loud noises that a vacuum can make, however, if you have a young pet they may get upset every time you clean the house. Although we highly suggest training your pet to be calm when you power up the vacuum, we understand that some pets just cannot get used to the noise the vacuum creates. So if you are looking for a more quiet model, we highly suggest going for either the Miele S7260 Cat & Dog Upright Vacuum Cleaner or the LG Kompressor Canister PetCare Plus Vacuum Cleaner LcV900B. There are quite a few pet hair vacuums to choose from in our list above, but we wanted to mention just a few of our favorites. 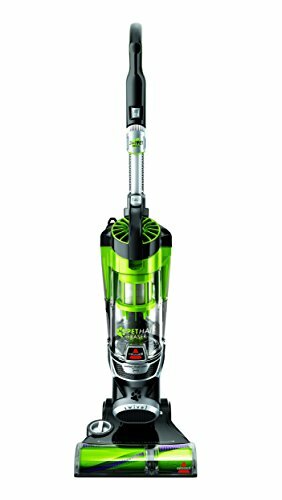 If you are on a tight budget and want to get the best vacuum that you can for under $100, then look no further than the Dirt Devil UD70095 Power Reach Multi Cyclonic Pet Bagless Upright Vacuum. 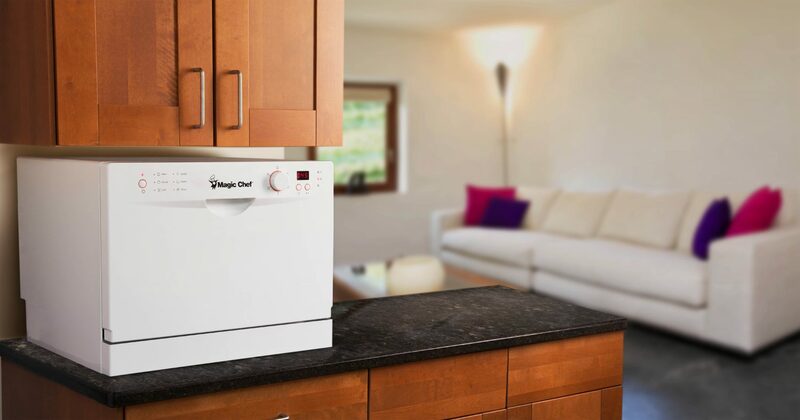 This model features all important true HEPA filter that will keep your family’s allergies under control. 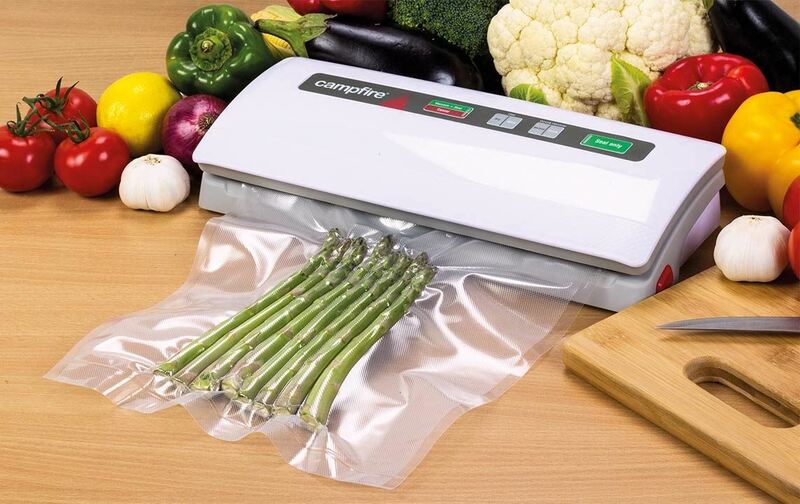 It’s completely bagless so you can cut the cost of vacuum bags out of your expenses. 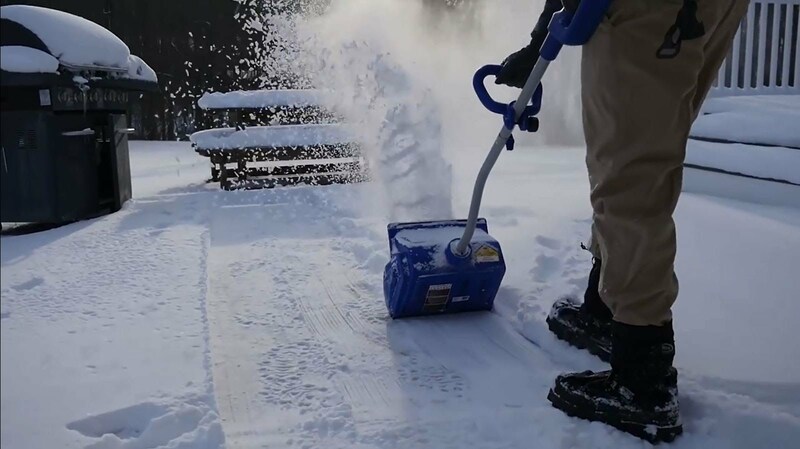 They created an 8-foot stretch hose that will give you nearly 11 feet of reach for stairway cleaning. Perhaps the best feature of this model is it’s Pet Kit. This kit includes an extra long 12-inch crevice tool which helps to clean nooks and crannies, an electrostatic dusting brush and an electrostatic turbo tool that both use static electricity to attract pet hair much more efficiently than a regular brush. And they top it all off with a three-year warranty. The Dyson DC39 Animal Canister Vacuum Cleaner is another great model. It’s fairly expensive but worth every penny for pet owners. 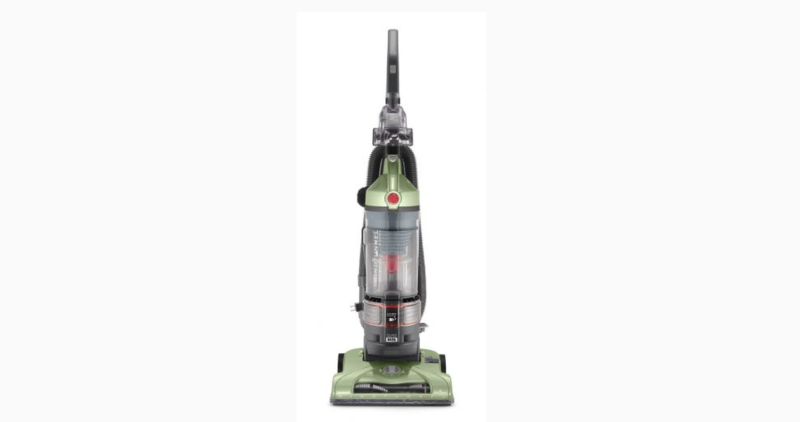 It uses Dyson’s cyclone technology which captures more dirt and dust than any other vacuum on the market and doesn’t lose any suction in the process. It comes with 5-year parts and labor warranty, which tells you a lot about how much they truly believe in their product. And it still features the ball that Dyson is so well known for meaning that you can have greater control than ever. Miele’s S7260 Cat & Dog Upright Vacuum Cleaner is the last model that we wanted to mention. This vacuum really does focus on getting those pet hairs our of your carpets and off of your sofas. Miele is a German company, so you know your vacuum was built to last. If you’re looking for a product that will last you 10 – 15+ years, this is the one you want. 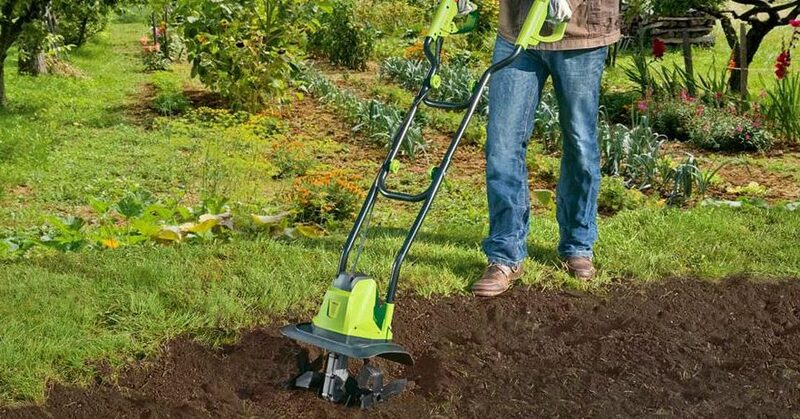 It features automatic heigh adjustment, so there’s no excuse for other members of the family to skip their chores. Remember that pet hair brush feature that we mentioned above? Well, Miele added a Mini Turbo Brush in addition to the regular integrated dusting brush, upholstery tool, and crevice nozzle. And to top it all off they gave it an LED headlight so that you can see into those dark hard to reach places. 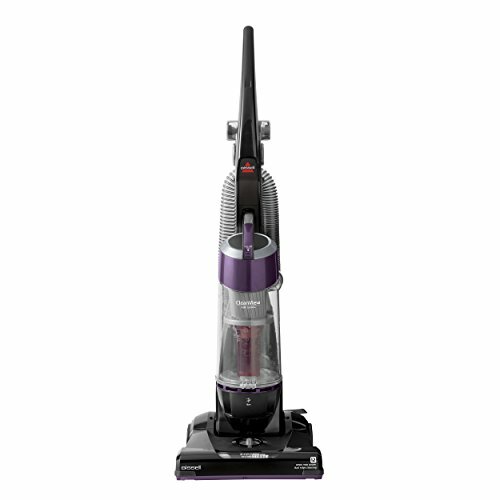 Which Vacuum Do We Use for Pet Hair? It takes a lot to receive our title of best vacuum for pet hair, and a few of the products mentioned above came very close, but the best overall cleaner has got to go to the Miele S7260 Cat & Dog Upright Vacuum Cleaner. This product is just a little more superior to others. It features a 2 motor system that is powerful, but quiet so that it doesn’t excite your little loved ones. 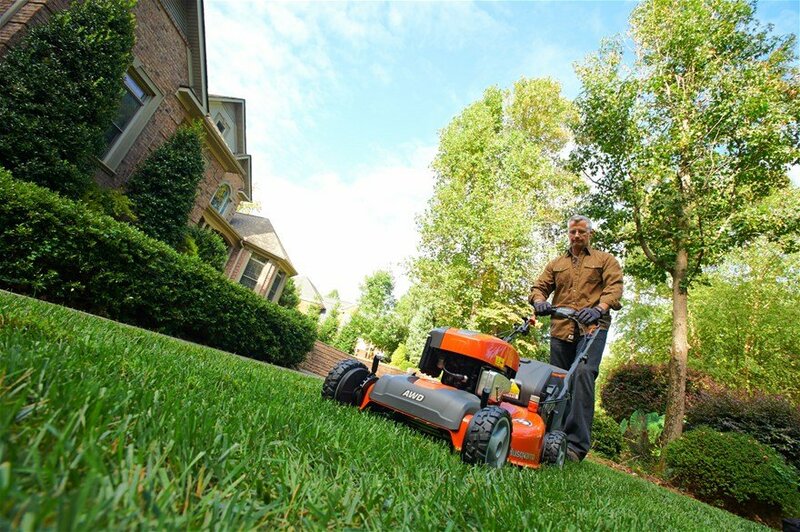 Its innovative swivel neck makes it easy for you to maneuver into and around tight spaces. Do you normally miss all of those little hairs under the sofa? Be sure to pick them up every time by turning the LED headlight on. Cleaning furniture in your home couldn’t be easier with the attached pet hair kit. The upholstery tool allows you to use the vacuum with all the fabrics in your home. 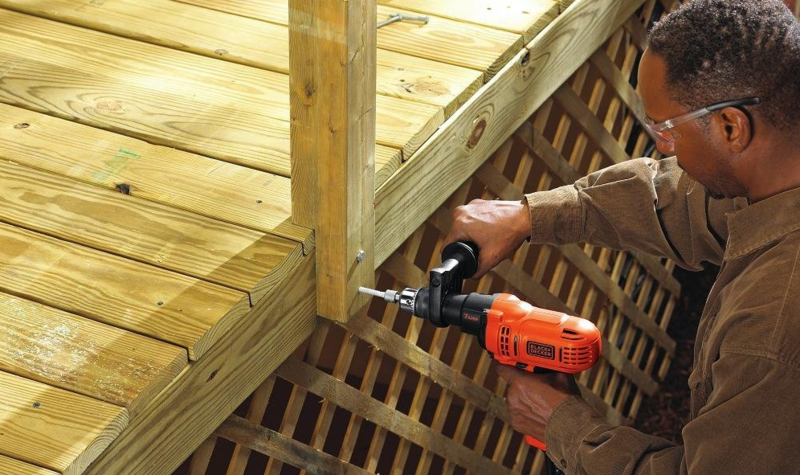 Those hard to reach areas, especially down the back of the sofa, can easily be reached with the extra long crevice tool. And the dusting brush used with the extender pole can ensure that you’ll never have to stand on chairs to reach high spots again. All this and a 7-year warranty on the motor makes the Miele S7260 Cat & Dog Upright Vacuum Cleaner our overall best vacuum for pet hair. Our team has conducted a lot of research and testing to bring you completely unbiased reviews of the best vacuums for pet hair. We think it’s very important to take a look at reviews and see what other people are saying about the product that you want to buy. After you’ve read our reviews, please head on over to Amazon to check out what others are saying about the product you want to buy. Remember that there are always going to be a few unhappy customers, as there always is with a highly competitive product. If you find that there are a lot more negative reviews than positive, it might be something to be concerned about. We’re dedicated to only providing reviews and recommendations for the best products on the market. If you find that the product you were thinking about buying hasn’t been reviewed by us, please feel free to continue to Amazon.com and search for your product to find customer reviews. Be sure to do your research. There are a lot of vacuum resource sites out there that can be a great help in choosing the best vacuum for pet hair. 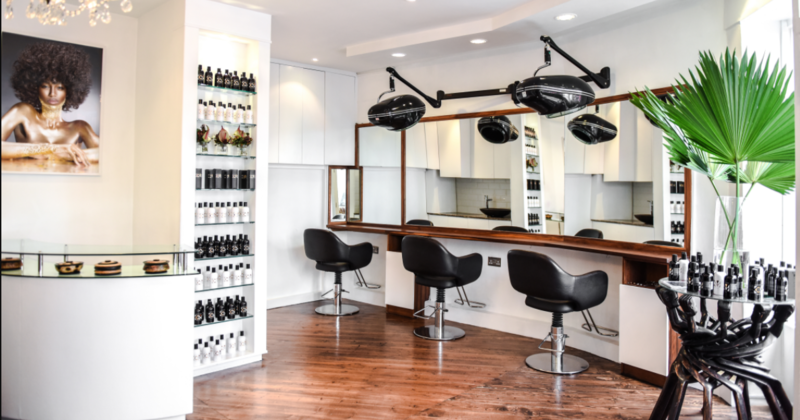 If your company has a product that you feel is worthy enough to be included on our site, please forward us all relevant information by using our Contact page after which we will contact you to arrange a test and research day. Alternatively, you can check out this web resource to see other ways you can reach more people. We really appreciate you coming to our site and reading through our guide to finding the best vacuum for pet hair. The next step for you is to either click the product you wish to view on Amazon from the table above. 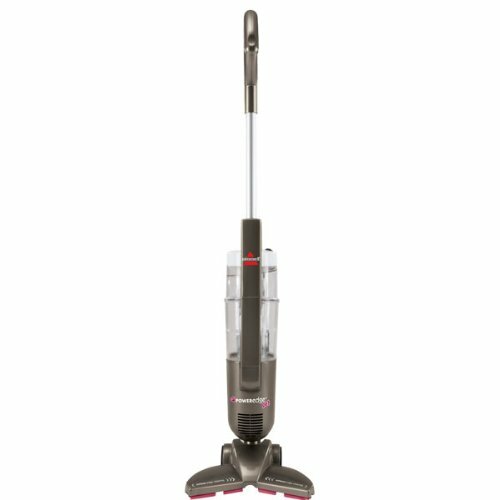 Are there any special tips or trick about how to select the perfect vacuums? I mean some common points to keep in mint which you are going to buy the pet vacuums cleaner.